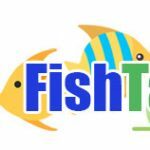 Today I started posting to the FishTanksAndMore.com twitter account (@fishtanksmore)! I have been waiting to start the blog. I have a project I will be starting, and I want to share with you all the steps along the way.I am in no way an expert on keeping aquariums, but I have enough experience to share my trials and tribulations along the way. I hope this blog is two way in that you can learn from me, and I can learn from you as well. So, please sign up and add comments throughout my journey! My project is simple! I want to reduce the number of aquariums here at my house. Maintenance is getting to be more than I can keep up with. I will be replacing the two aquariums in the living room with a single 110 gallon 48x18x30 reef ready tank. When we first moved into the house, we had a small 30 gallon cube that we brought from our little apartment. Now that we had a larger space, we decided we wanted a bigger aquarium. I bought a 90 gallon aquarium and proceeded to build out a custom stand and canopy. My first DIY stand and a huge learning experience. This entry was posted in Fish Tanks and More. Bookmark the permalink.